The Phil Naessens Show #1194: Indiana Pacers, OKC Thunder, Miami Heat, Atlanta Hawks and NBA Trade Deadline Talk! Posted in: NBA. Tagged: Hawks, Heat, NBA, Pacers, Podcast, Thunder, Trade Deadline. On this edition of the Phil Naessens Show Peachtree Hoops Managing Editor Kris Willis joins Phil to discuss the trade rumors surrounding the Atlanta Hawks, Indy Cornrows Managing Editor Tom Lewis joins Phil to discuss trade rumors involving the Indiana Pacers and what the guys would like to see the Pacers do in the 2nd half of the season, Hot Hot Hoops writer David Ramil joins Phil to discuss the injury to Chris Bosh, Chris Anderson getting traded to the Memphis Grizzlies and what’s next for the Miami Heat and Welcome to Loud City Managing Editor J.A. Sherman joins Phil to discuss the trade rumors surrounding the OKC Thunder and much more NBA Trade Deadline talk! The Phil Naessens Show: San Antonio Spurs Fans are the Luckiest Fans in Sports! On this edition of the Phil Naessens Show J.A. Sherman joins Phil to discuss Thursday night’s OKC Thunder win over Cleveland, Scott Brooks, Jeremy Lamb, Caron Butler and a look at the upcoming week of games. Rush Olson joins Phil to preview the 2014 Cleveland Indians and J.R. Wilco joins Phil to discuss how lucky fans of the San Antonio Spurs are to be fans of the San Antonio Spurs as opposed to being a New York Knick fan and much more. As an added bonus for listeners of the show DraftStreet and I would like to invite you to play in a FREE daily basketball game on Saturday March 22, 2014. The grand prize is a $109 dollar voucher and all you need to do is click this link here and go win some FREE cash! Come over to DraftStreet and join me for a free Fantasy Basketball free roll and win cash. It’s absolutely free. For Fantasy Basketball please click here and for Fantasy Hockey please click here. Fantasy Baseball players please click here. 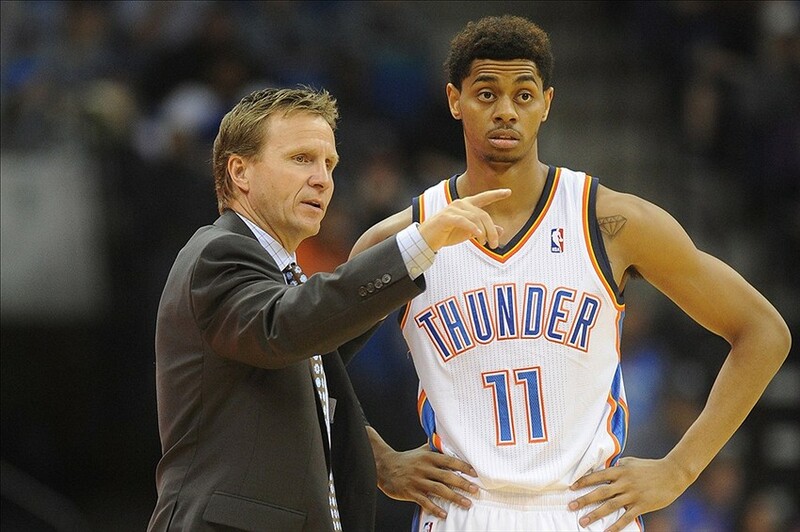 The Phil Naessens Show: Why isn’t Scott Brooks Playing Jeremy Lamb? On this edition of the Phil Naessens Show Zeb Benbrook joins Phil to blast Oklahoma City Thunder coach Scott Brooks for deciding to play Caron Butler over Jeremy Lamb and Phil blasts Knicks owner James Dolan plus more NBA Talk. Joe Mullinax joins Phil to preview the top defensive ends in this seasons NFL Draft and Phil believes the San Antonio Spurs are the luckiest organization in the NBA and oddly Michael Erler agrees with him! The Phil Naessens Show: Are the San Antonio Spurs Overlooked by the National Media? On this edition of the Phil Naessens Show J.R. Wilco joins Phil and discusses why some San Antonio Spurs fans feel the team gets an unfair shake from the National media. Brandon Kraeling stops by to discuss with Phil the potential starting lineup of the Cincinnati Reds and J.A. Sherman joins Phil to discuss the Oklahoma City Thunders win over the Houston Rockets, give Phil his weekly “Kiwi” test and much more. 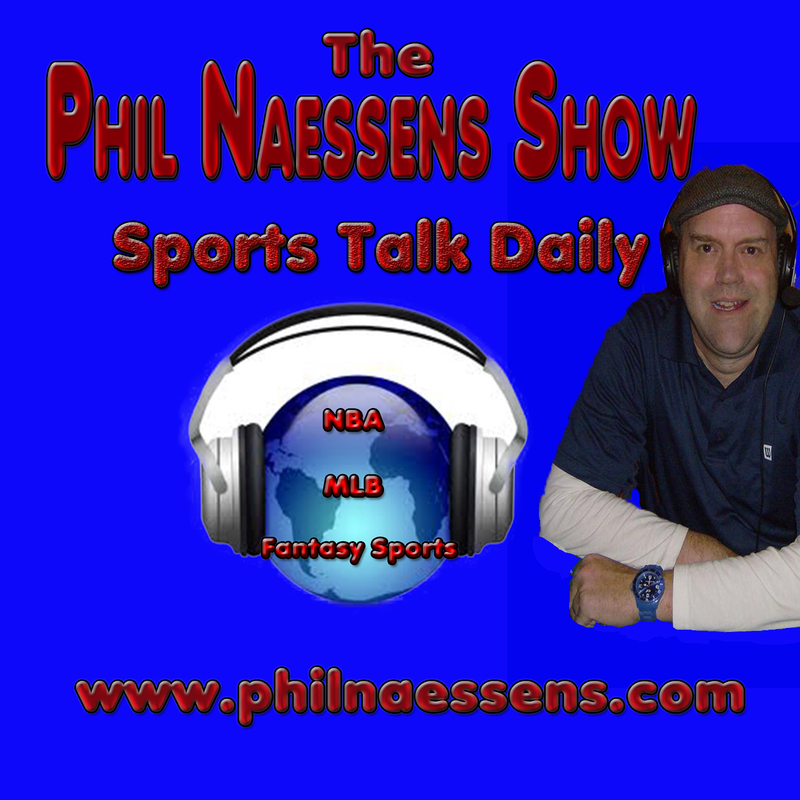 Play daily fantasy basketball March 14, 2014 and win a 109 dollar voucher free for listening to the Phil Naessens Show. Please click the link below and win free money! Come over to DraftStreet and join me for a free Fantasy Basketball free roll and win cash. It’s absolutely free. For Fantasy Basketball please click here and for Fantasy Hockey please click here. Fantasy Baseball is coming soon! The Phil Naessens Show: The San Antonio Spurs Signature Win of the Season. On this edition of the Phil Naessens Show J.A. Sherman joins Phil to discuss the injury to OKC Thunder SG Thabo Sefalosha, the newly acquired Caron Butler, Phil takes his “Kiwi” test and much more Thunder talk. Mr. Brewtown joins Phil to discuss the potential starting lineup of the 2014 Milwaukee Brewers and J.R. Wilco joins Phil to disuss the San Antonio Spurs signature win over the Miami Heat and discuss Coach Greg Popovich’s coaching philosophy. On this edition of the Phil Naessens Show J.R. Wilco joins Phil to discuss Kawhi Leonard returning from injury, answers a listeners question about the San Antonio Spurs “Rodeo Roadtrip” and answers another listeners question about the Phoenix Suns playoff chances. Mr. Brewtown joins Phil to discuss what he thinks the fans reaction to Ryan Braun will be and the new faces on the Milwaukee Brewers. J.A. Sherman joins Phil to discuss the injury to Kendrick Perkins, what happened to the Oklahoma City Thunders defense and gives Phil his weekly “Kiwi” test plus much more NBA and MLB talk.